Meet our sweet, stunning little girl, Star! She is lithe and spunky, loves to play and of course loves attention! She has had some gorgeous puppies in the past! Star is a shaded English cream hidden dapple and weighs 9 lbs. 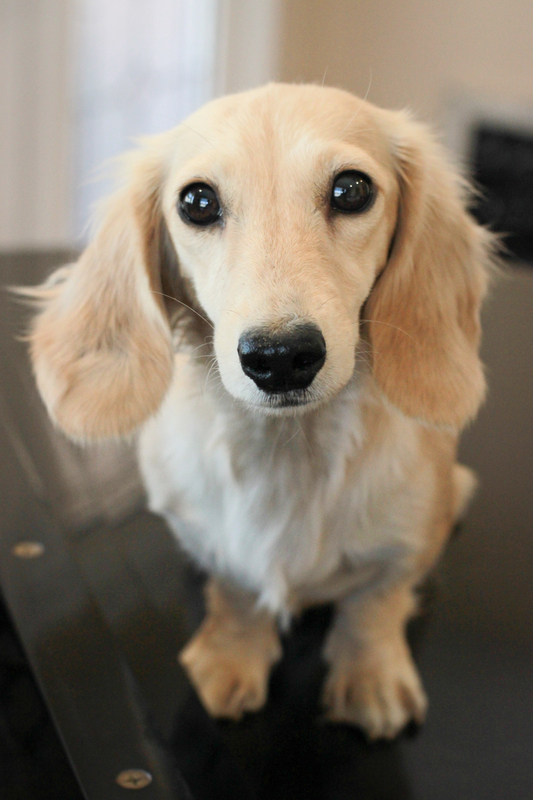 We are beyond excited to add a blue and cream dachshund to our family! 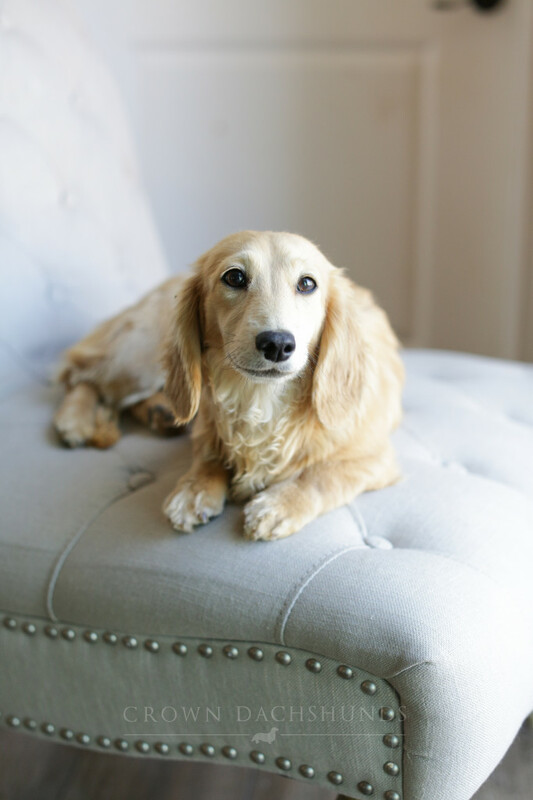 Meet Skye, a beautiful English blue and cream miniature long-haired sweetheart. Skye weighs 10.5 lbs, and we are expecting pale and shaded creams, blue and creams and dapples from this gorgeous girl. Meet our amazing Diva, a lightly shaded pale cream girl with a rich Sniffntells heritage. She is shy, playful and curious but LOVES to snuggle. Her favorite place in the world is to be curled up on the couch. We are expecting beautiful shaded and pale creams in the future from this lovely girl. 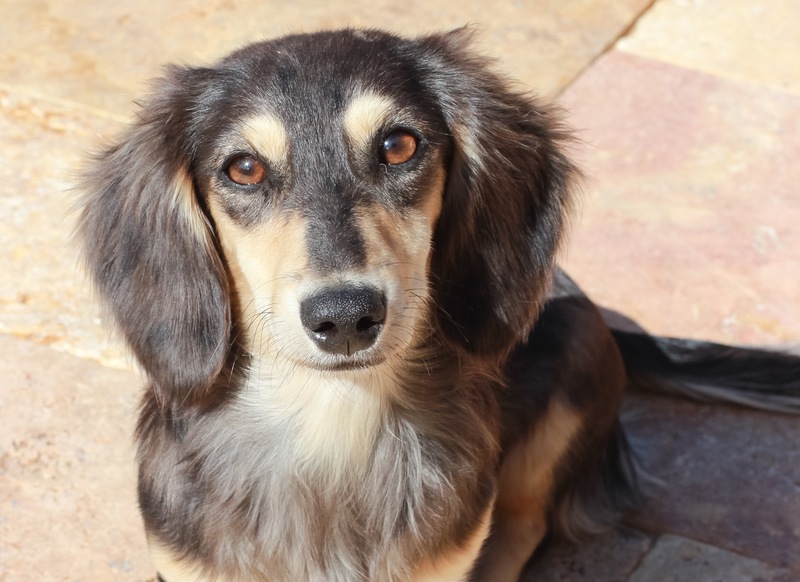 Our little Barbie is a sweet, shy girl that would really rather have you all to herself! She loves to explore and play but is a lover too. She is a lightly shaded English cream and weighs 9.5 lbs. We are excited to be welcoming her first litter this summer! Pippa is the sweetest, most energetic little sweetheart! She has the biggest heart and is so smart. Her playful, outgoing personality is fun to be around, and she’s never one to turn down a good old fashioned belly rub. Pippa is a black and cream angel and is also very petite weighing only 9 lbs. Baby is a mellow, eager to please sweetheart and is a third generation Crown girl. 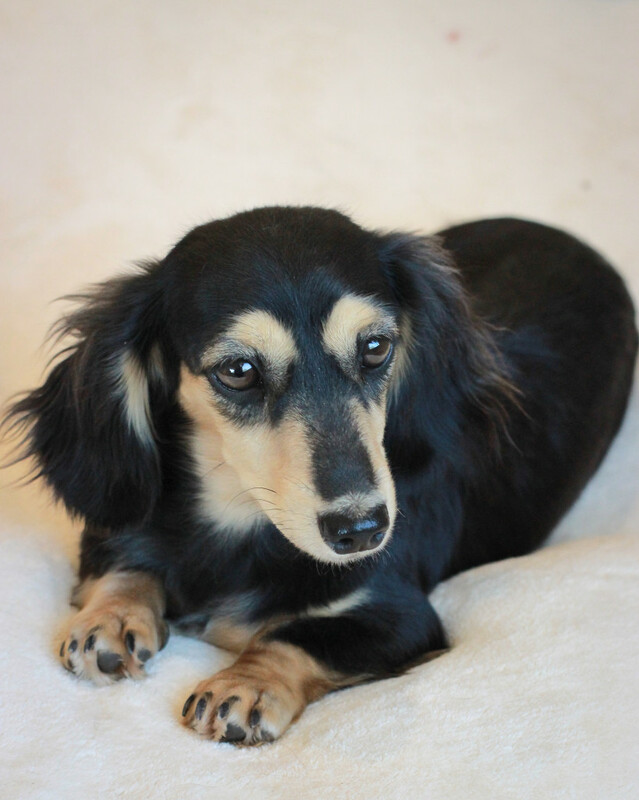 She loves people and other dogs and has a gentle, easygoing personality like her grandma Eveline. 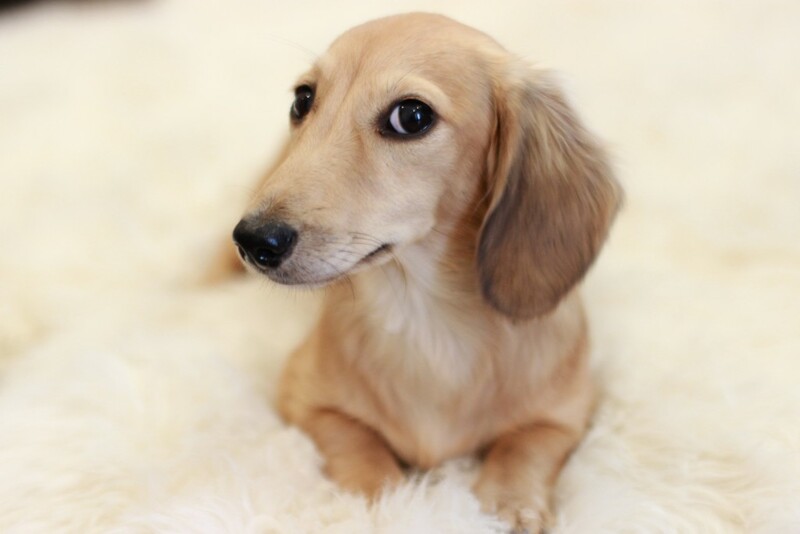 Baby is a shaded cream longhaired miniature dachshund weighing at 11.2 lbs. We are expecting gorgeous pale and shaded creams from her in the future. Lacey is a spunky, sweet princess and is a third generation Crown girl. She loves people like her daddy Percy and loves to explore and go on walks. 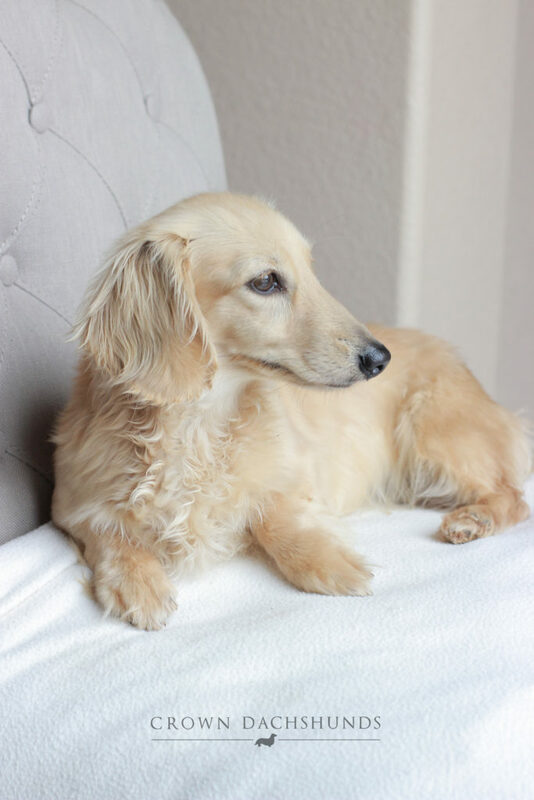 Lacey is a lightly shaded cream longhaired miniature dachshund weighing at 10 lbs. We are expecting gorgeous pale and shaded creams from her in the future.